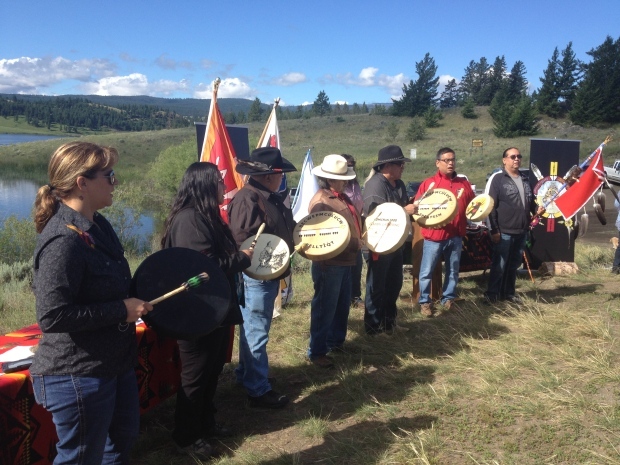 MiningWatch Canada joins with local, provincial, and national groups in urging the public to voice their concerns to both provincial and federal governments about the proposed AJAX open pit mine located on the edge of the city of Kamloops, British-Columbia. If this gigantic open pit mine is approved, it would set a bad precedent not only for Kamloops, but for communities across BC and Canada in terms of health, public safety, and environmental standards related to mining (see below Six Reasons To Be Concerned About the Ajax Mine). You can also send your concerns to the Stk’emlupsemc te Secwépemc First Nation (SSN) before April 15. The SSN is conducting its own, parallel, environmental assessment and public consultation process: info@stkemlupsemc.ca (see details about SSN process here). 2. Health effects from exposure to increased air pollutants and fine dust particulates. Kamloops residents and local physicians have repeatedly expressed concerns regarding the presence of already high levels of fine dust particulates in Kamloops’s airshed (about 10% above BC’s annual Air Quality Objective, and 33% above BC’s annual Air Quality Goal). Public health authorities confirm that any increase in fine dust particles will negatively impact health (respiratory problems, increased hospitalisation, etc.). Multiple reports prepared by both regulators and independent air quality experts, such as Dr. Froese and his associates, and Douw Steyn, Ph.D., point out that Ajax’s environmental assessment is rife with highly unrealistic assumptions such as predicting high level of dust suppression (over 90%), and concludes that it makes no sense at all to allow a new industrial source of pollutants in a city already struggling with pollution higher than provincial standards (see more on this issue here). 3. Water contamination. After mining out a very small fraction of metals sold to international markets (less than 0.3% copper in the orebody), the Ajax mine will generate massive volumes (over 1.4 billion tons) of waste rocks and toxic tailings that will need to be stored forever within Peterson Creek watershed, which runs through the city of Kamloops and into the Thompson River. Expert hydrogeologist Kevin Morin, Ph.D., qualifies KGHM’s environmental assessment predictions as “unreasonable” and predicts much higher levels of contaminants in toxic metals such as selenium, molybdenum, arsenic, and sulphate compounds. These substances would contaminate Peterson Creek watershed, likely for decades or centuries, contrary to provincial’s standards and regulations meant to “ensure that water stays healthy and secure for future generations” (BC Water Sustainability Act). The Thompson River located downstream and home to one of BC’s largest spawning salmon run, is also at risk (see more on this issue here). 4. 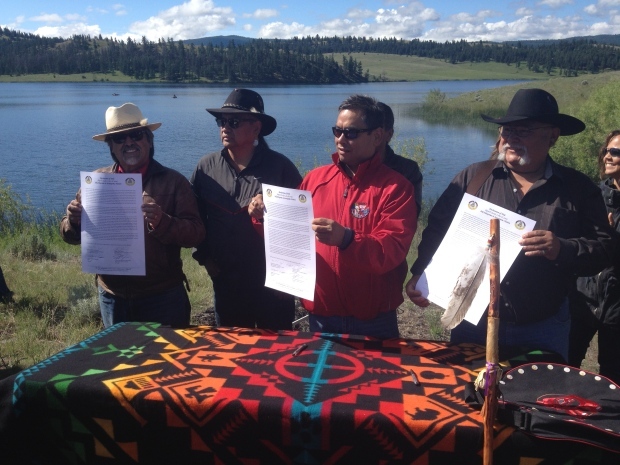 The Ajax mine would destroy part of Jacko Lake and Peterson Creek, sacred to First Nations. 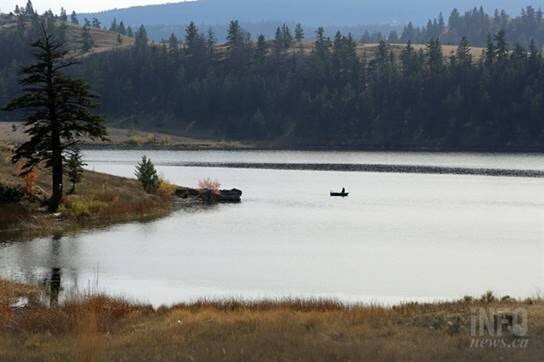 Jacko Lake (Pipsell in Secwepemc language) is the site of an epic Secwepemc traditional oral story called the ‘Trout Children,’ and its bountiful fishing helped feed ancestors of today’s Stk’emlupsemc te Secwepemc Nation (SSN). 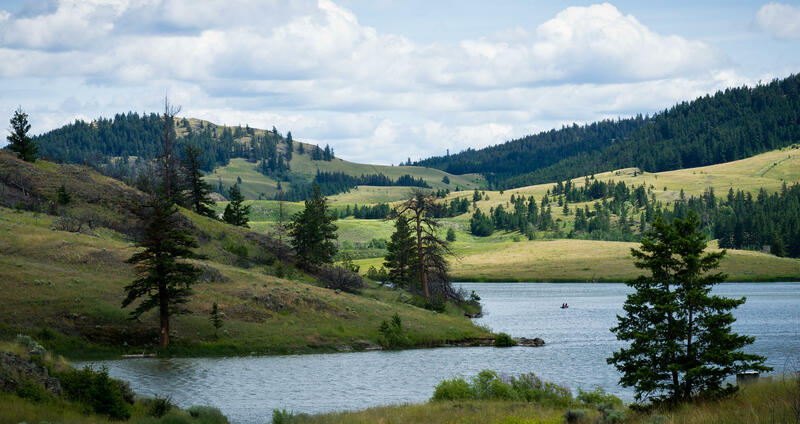 Perched on a high grassland plateau just above the city of Kamloops, the lake is home to an amazing biodiversity and is visited by nearly 130 bird species, 40 mammals, and multiple reptiles. Human artifacts dating back 7,000 years have been found around the lake. KGHM’s mine would literally need to dam-off and destroy 20,400m2 of productive littoral habitat within Jacko Lake, and over a 3km section of Peterson Creek’s habitats (105,600m2). The SSN people, who still fish on the lake today, like thousands of local and international anglers every year, are squarely oppose to this mine plan and have recently filed a claim asserting title to the lands and waters where the mine would be located (see more on this issue here). 5. Risks of catastrophic spills. After the massive Mount Polley Mine’s spill into Quesnel Lake and the Fraser River watersheds in 2014, Kamloops residents and First Nations are concerned about what a catastrophic spill would do downstream from the Ajax mine. 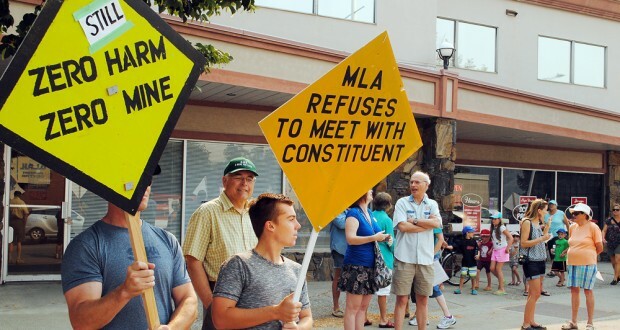 Certainly any new mines approved in BC should fully incorporate the recommendations of the Mount Polley spill inquiry. The proposed Ajax mine does not fully meet these recommendations. The partial dry operation and closure proposed does not include a provision to keep the tailings fully drained and dry. The project is also vulnerable to a dam failure during the early years of operations, when the large reservoir of water and mine slurry is not yet fully backed-up by a solid dam. A spill at Ajax mine would be catastrophic, with the potential loss of lives and the destruction of Jacko Lake, Peterson Creek, and downtown Kamloops located just below. The Thompson River would also be severely impacted. 6. No consent. As stated above, the Stk’emlupsemc te Secwepemc Nation (SSN) people have not given consent to this project. The SSN has serious concerns about the Ajax mine and its foreseeable impacts on lands, waters, and title rights. The SSN has recently filed a claim asserting title to the lands and waters where the mine would be located, and is currently conducting its own environmental assessment and community consultation process in parallel to those of BC’s and Canada’s agencies. 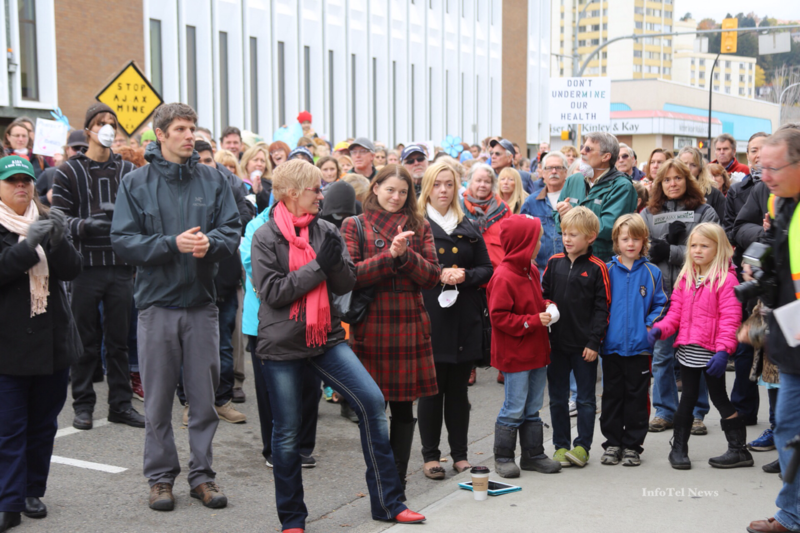 KGHM’s proposal has also driven a wedge into the community of Kamloops, with city council is split in half, and deep community divisions between those in favour of a 1% increase in direct employment that the mine would bring for 18 years, and those that weigh the short and long term impacts as far more significant than any potential temporary benefits. See also MiningWatch's recent Economic Risk Analysis of AJAX's Mine (summary, full report).